Tra-la-la! The Captain is back – sort of! When we last saw our heroes, George and Harold, they had been turned into evil zombie nerds doomed to roam a devastated planet for all eternity. But why, you might ask, didn’t the amazing Captain Underpants save the boys from this frightening fate? Because Tippy Tinkletrousers and his time-travelling hi-jinks prevented them from creating the Captain in the first place! Now, having changed the course of history forever, the boys must find a way to CHANGE IT BACK. 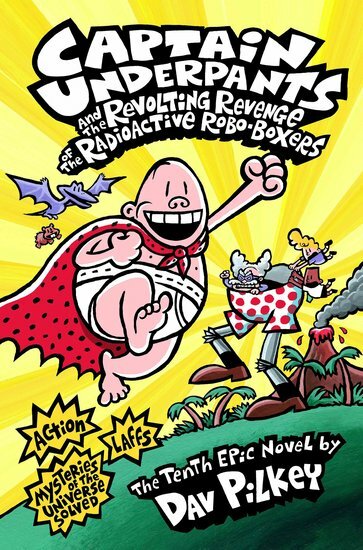 Could this be the end for Captain Underpants? Or will wedgie-power save the day?